Women and men may start out on relatively equal financial footing in their 20s. But when children come along, women are much more likely to take time out of the workforce to care for them. *A common refrain is “my salary would just go to daycare costs anyway, so what’s the point?” This is often true. 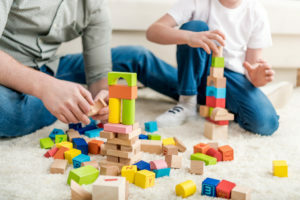 But it’s really not fair for one parent to assume sole responsibility for child-care costs; it is a shared financial responsibility that both parents should take on.